For competitive pair skaters William and JoJo Hubbart, every win along the way is a point in the journey, including this year’s fourth place win at nationals. in January at the 2014 nationals in Boston. U.S. National Figure Skating Championships in Boston last month was a tremendous accomplishment and a moment to remember. But the sibling pair team’s journey continues on … with hopes and dreams to represent the U.S. at a future Winter Olympics. 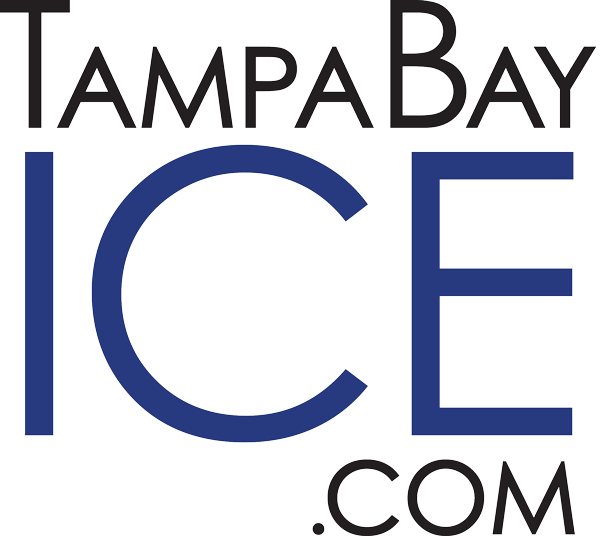 “It’s a long shot but it’d be nice to go to Seoul in four years,” William, 16, says, as he sits next to JoJo one recent day at Tampa Bay Skating Academy in Oldsmar. It’s here they train between four to six hours a day, six days a week. in intermediate pairs in January. JoJo, 15, acknowledges it’s a long shot and takes a more “wait-and-see” attitude, adding that they’re just taking it one day at a time right now. Clearly, though, the teenagers are working toward turning Olympic dreams into reality. 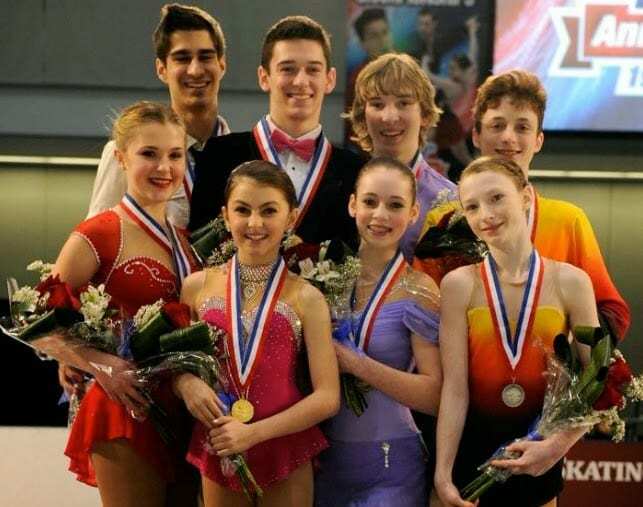 This was their third trip to nationals, the most prestigious event of the U.S. competitive figure skating season. And it’s the third time they’ve brought home a medal. 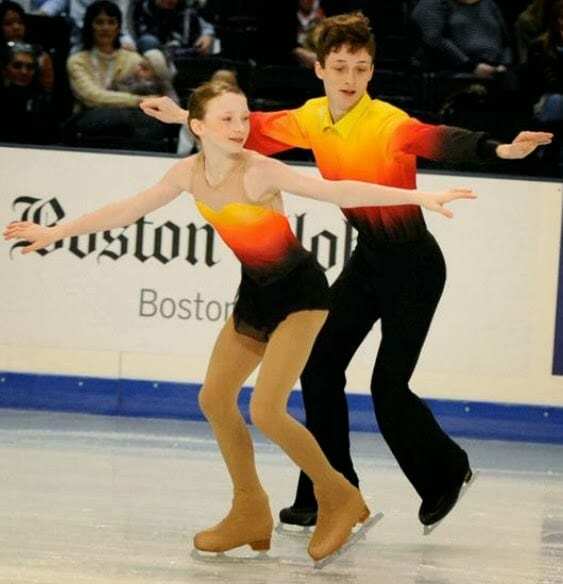 In 2012, as a first-time juvenile pair team, they won the bronze medal at junior nationals, which was the equivalent of nationals for juvenile and intermediate competitors. medal in juvenile pairs in 2013. 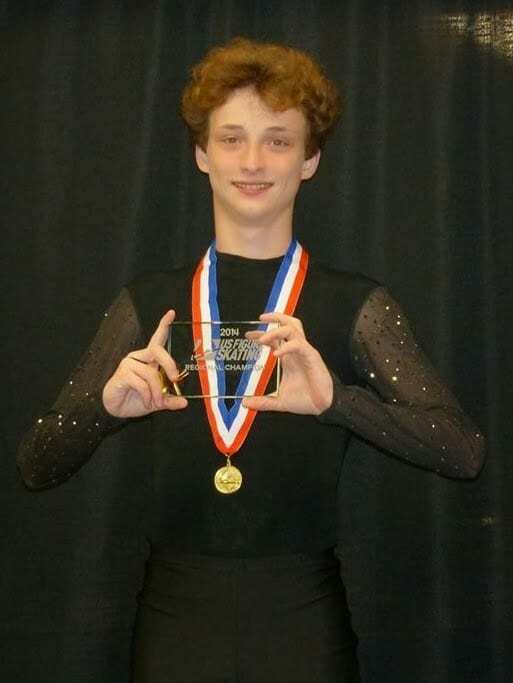 Last year, William and JoJo competed at the juvenile level again and took top honors, winning the gold medal by a landslide. 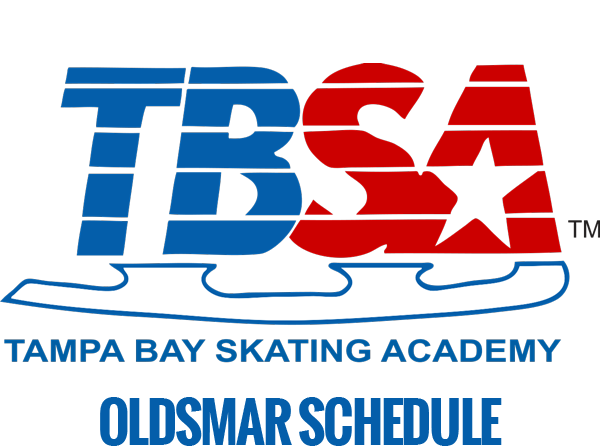 They also got to compete with the higher-level skaters because the national competition was changed to include senior, junior, novice, intermediate and juvenile skaters. This recent season the pair team moved up to the intermediate level. They also competed at the national competition at an exciting and celebrated time–the Olympics. Figure skaters who won the top spots at the senior levels this year had the chance to represent the U.S. on the world stage. William and JoJo had some setbacks in their short program that put them in fifth place but they went on to skate a clean long program to place fourth overall. William also competed in intermediate singles at nationals, finishing in ninth place. 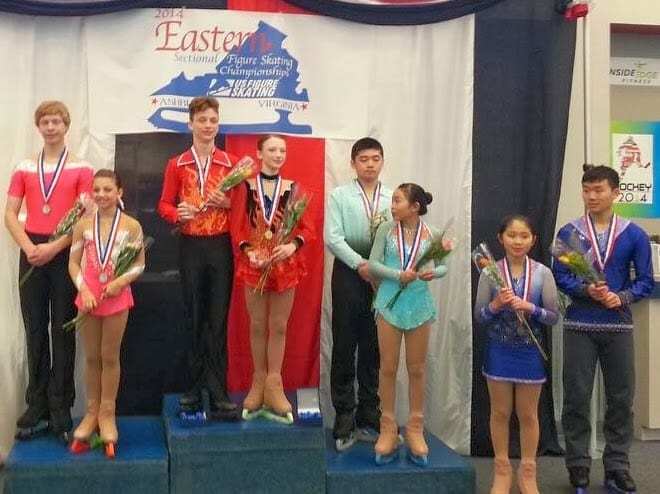 Their stellar pair performance at the Eastern Sectional Figure Skating Championships in November earned them a ticket to the national event. 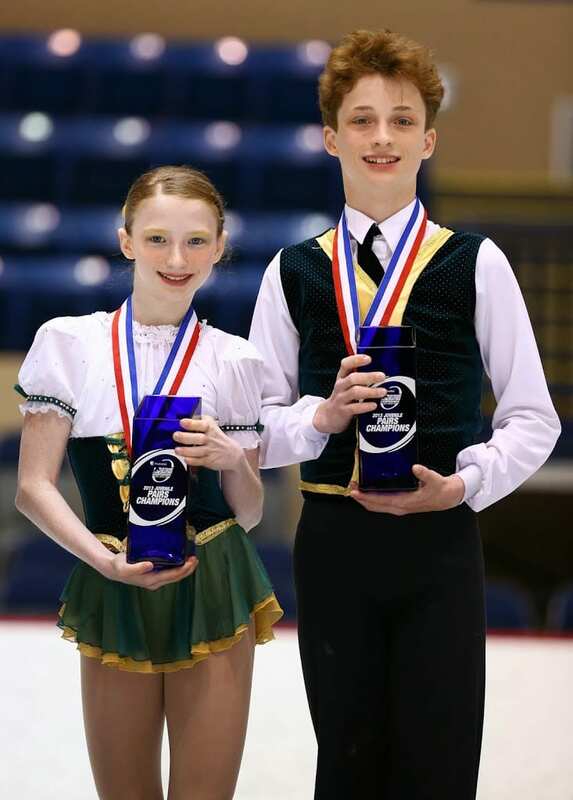 They won the gold, becoming the 2014 Eastern Sectional Intermediate Pair Champions at the annual competition in Ashburn, VA.
another trip to nationals in the single category. A gold medal single’s performance at regionals in October landed him at sectionals. With the new pair level, new elements, and the additional pressure of an Olympic year, the Hubbarts still bounced back to keep their medal streak intact. And it takes a lot of perseverance to get to the Olympics, the world’s foremost sports competition with more than 200 nations participating. 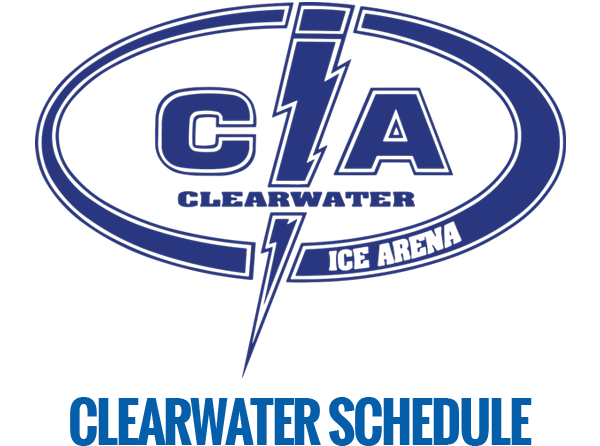 Fortunately, their coach, Alex Vlassov, who recently was interviewed by Gayle Sierens of Channel 8 News, believes the teenagers have what it takes to go all the way. “They’re competitors. They like to be better every time that they compete. That’s the best you can ask,” he says when asked why he thinks they have a shot at the Olympics one day. Laura Amelina in the kiss and cry at the 2013 nationals. Vlassov, who coaches the sibling pair team along with his wife, Laura Amelina, should know. Representing Russia, he and his pair partner won fourth place at the Innsbruck, Austria, 1976 Winter Olympics. “I can share experience. I can say what it means–how to be in front of a crowd, how to present yourself, what to learn and how to avoid some mistakes,” he adds during the television interview. 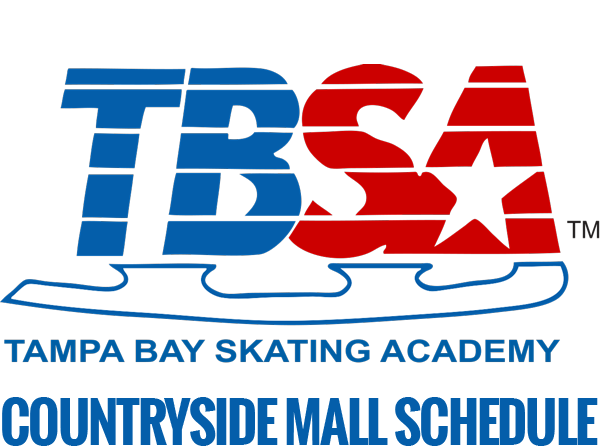 Back in TBSA’s snack bar, William and JoJo share what it was like in their lesson they just finished with Vlassov, who had them practicing a press lift. The pair skating move has William and JoJo facing different directions as William lifts JoJo in the air, both of them fully extending their arms. “And we trust Alex on what we can do,” JoJo concludes. They both also share stories about how at nationals in January, they got a chance to see and meet some of the future Olympians. 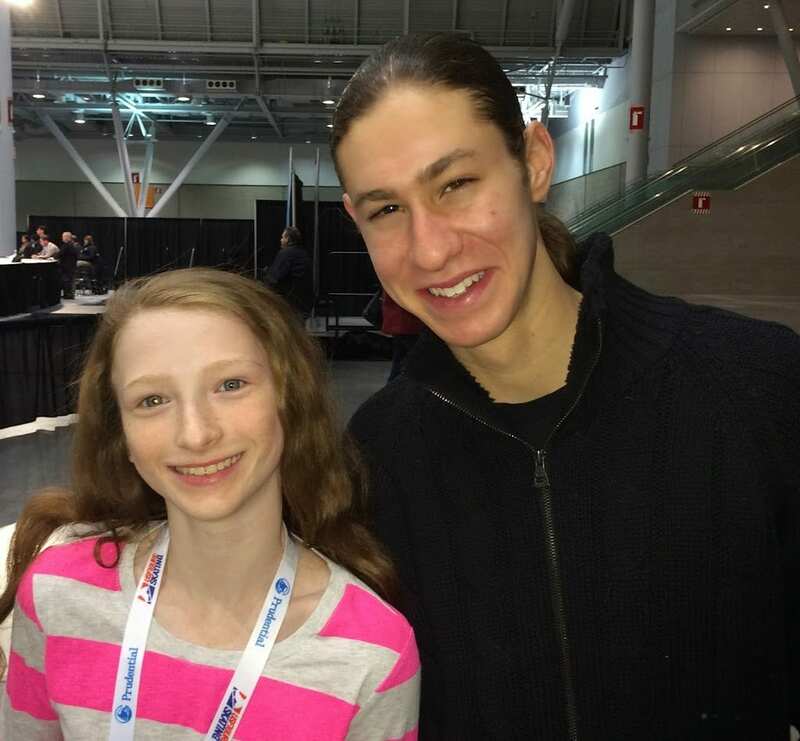 Both met Jason Brown, the 19-year-old who helped the U.S. Olympic Team win the bronze medal in Sochi. Bronze Medalist, and 2014 U.S. Silver Medalist. 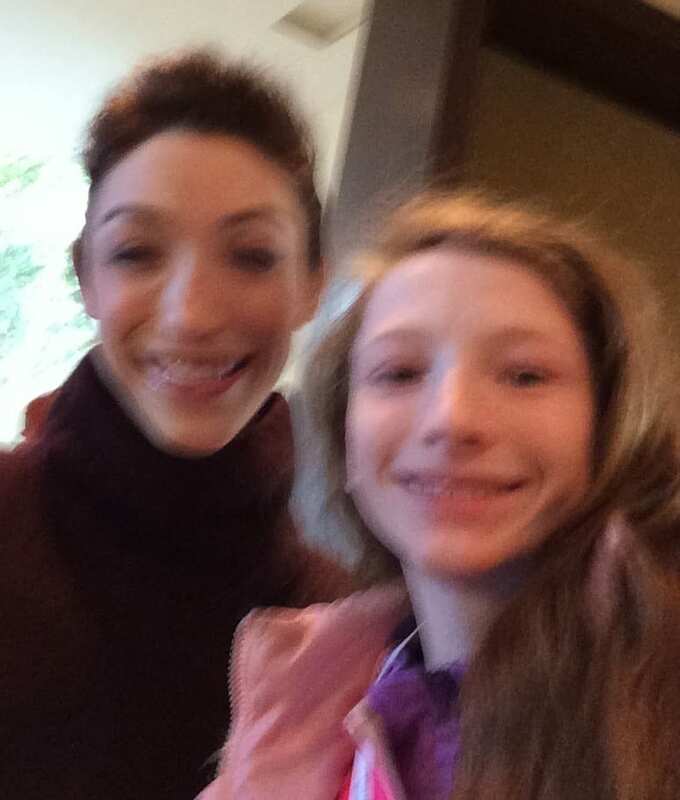 JoJo also got a picture with ice dancer Meryl Davis, who along with Charlie White brought down the house with their gold medal free dance performance at the Sochi Olympics Feb. 17, 2014. JoJo says. Meeting the higher-level figure skaters is inspiring and makes you work harder, she adds. For this upcoming competition season, the siblings may move up to the next pair level, which is novice. If so, they’d like to at least medal at next year’s national competition. “Hopefully, we’ll be trying a triple throw and a triple side-by-side jump and maybe a double twist,” William says. All the while keeping their sights set on that “long shot” goal further down the road. “We’re definitely looking for Seoul,” William says.